Joba and Pedro's Big Nights — Too Much on the Line? 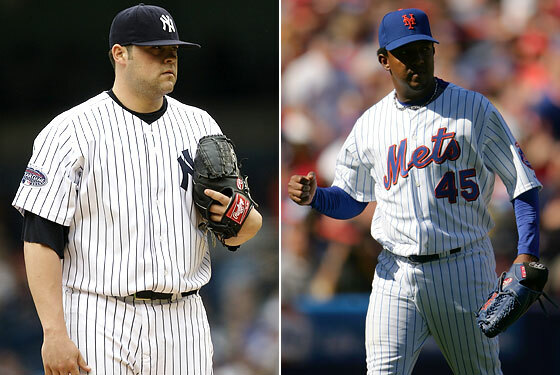 Joba and Pedro’s Big Nights — Too Much on the Line? At Yankee Stadium tonight, Joba Chamberlain finally makes his long-awaited first Major League start, after months of name-calling and top-secret arm-stretching. Three hours later, and 3,000 miles away, Pedro Martinez finally returns to the mound for the Mets in San Francisco, making his first start since injuring his hamstring in his season debut April 1. Both the Yankees and Mets have shown signs of life lately, but the fact remains they’re both still hanging around the .500 mark, so with a third of the season already in the books, expectations are high that Joba and Pedro will be the white knights that ride into their respective rotations and save the season.